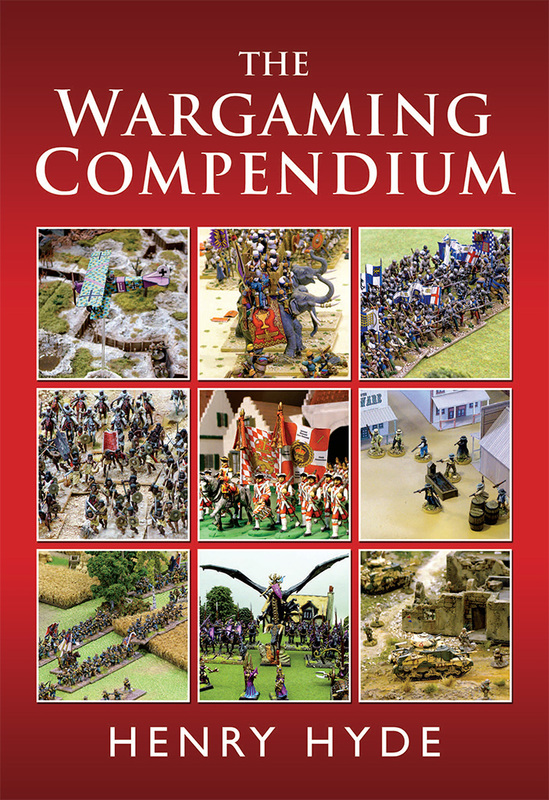 If you have general comments about The Wargaming Compendium or wish to submit a review, then please do so here. I shall certainly be reading every comment and will respond if and when required. I am also extremely grateful to those of you who leave reviews on Amazon or elsewhere – I can’t begin to tell you how hard it is these days to get your book noticed in the online marketplace, so your help in spreading the word and promoting the book is hugely appreciated. I can also be found on Twitter as @battlegames and @MiniatureWG and on the Facebook page for Miniature Wargames. Please note that all comments on this site are moderated. Well I suppose I am late to the party, but oh well. I loved your book and have found many useful tips in it. Any chance of a follow-up, maybe focusing on the campaign rules? Wargaming Campaigns is, in fact, the title of my next book! Hopefully I’ll have it finished later this year. On page 393 in the Author’s note you say about additional AWI supplements for Loyalist,German,French etc. I can not see these on the web site to download? The lists are now available from the Free Downloads page Richard — thanks for the heads-up! I am enjoying reading the book and looking forward to getting some figures to play Shot, Steel & Stone. Would it be possible to get the latest Q&A as a pdf download. Good idea about the PDF – I’ll sort something out. Thank you for writing such a wonderful book – I suspect it may become a wargame ‘classic’ ! I got my copy at Claymore on 3rd Aug from those nice people at Caliver Books and have got as far as Chapter 7 (Shot, Steel & Stone) – it has certainly provoked some good memories so far. When I read the bit about preparing the ‘soft’ plastic figures for painting you recommend coating them with pva glue then undercoating. I have found that you can mix pva glue (Resin W wood working adhesive) with Liquitex artists acrylic paint (black, white or grey !) and paint that over the figures – it does the two jobs in one. It works on ‘hard’ plastic figures and metal as well and doesn’t appear to obscure the detail. Mind you if I ‘undercoat black’ I then light drybrush the figures white (the eyesight isn’t as good as it was after 40 years of painting wargames figures !) to pick out the detail. I also noted your reference to G W Jeffrey’s book ‘The Napoleonic Wargame’. As you say his rules suffered from being ‘buried’ throughout the book and required a certain dedication to follow, but built on the work of Messrs Featherstone & Grant and were perhaps one of the first sets of rules to focus on a specific period of warfare. I was fortunate to meet George when I joined the South East Scotland Wargames Club back in 1974 and was somewhat in awe of him – here was a man who knew everything about the Napoleonic Wars (although he did favour the French somewhat !). I do remember playing in a big game or two using these rules, with George keeping us right, and they worked. Thanks for your kind comments Iain, as well as the extremely useful tip about mixing the PVA with acrylic paint – obvious, I suppose, when you think about it! I am also delighted that you have been able to add to our knowledge about G W Jeffrey and you are of course correct about him being one of the pioneers of the ‘period-specific’ ruleset. I wonder if a complete, collated version of his rules exists anywhere? You can also mix the PVA glue with ‘Copydex’ the rubberised glue ! I’ve used it to stick sand to ‘flexible’ sheets as a basis for making fields and ‘puddled’ it, mixed with a hint of blue or green Liquitex paint, to make little patches of water (I use the top off a ‘Pringles’ tub as it flexes nicely and lets the patch peel off !!). I’m still experimenting with the latter but think it would work for making patches of water in marshy areas. Re JWG’s rules – I had a word with Jim Duncan (mentioned in the acknowledgements section of George’s book) who I’ve wargamed with for many years. He thinks (!) that he may have a stand alone set of the rules buried somewhere in his loft (a mythical place in terms of size, shape and content !) and now that I’ve prompted him they may come to light (to be continued ….). The conversation also brought up the fact that George subsequently went on to try and develop the Variable Length Bound (VLB) for movement. Jim remembers discussing the principles and practicalities of such a system with George on many occassions but we can’t remember him producing a usable set of rules for it (although there is a vague memory of a couple of demonstrations). More information on this might surface but currently it’s ‘lost in the mists of time’. I have indeed found 4 variations of George Jeffreys Napoleonic Rules dating from 1973. The variations show a progression from a set of rules to set specifically for 15mm and another set explicitly for 25mm. I am wondering what to do with them.